W.Bro. S.BRENT MORRIS 33° G.C. Complete Idiot’s Guide to Freemasonry. New York: Penguin Group, 2006. Freemasonry in Context: History, Ritual, Controversy, ed. (with Arturo de Hoyos). Lanham, Md. : Lexington Books, 2004. 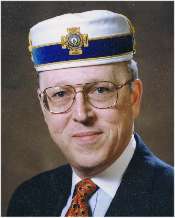 American Masonic Periodicals, 1811–2001, editor (Larissa P. Watkins, author). Washington, D.C.: Supreme Council, 33°, 2003. A Daily Advancement in Masonic Knowledge, editor (with Wallace McLeod). Bloomington, Ill.: Masonic Book Club, 2003. Freemasonry on Both Sides of the Atlantic: Essays Concerning the Craft in the British Isles, Europe, the United States, and Mexico, editor (with R. William Weisberger and Wallace McLeod). Boulder, Co.: East European Monographs; N Y.: Columbia Univ. Press, 2002. Recollections of a Masonic Veteran. editor. Bloomington, Ill.: Masonic Book Club, 1996. Is It True What They Say About Freemasonry? (with Arturo de Hoyos). 1994; 1990; New York: M. Evans & Co., 2004. A Radical in the East. Cedar Rapids, Ia. : Research Lodge No. 2, 1993. Cornerstones of Freedom. Washington, D.C.: Supreme Council, 33°, 1993. The Folger Manuscript: The Cryptanalysis and Interpretation of an American Masonic Manuscript. Bloomington, Ill.: Masonic Book Club, 1993. Masonic Philanthropies. Washington, D.C.: Supreme Council, 33°, 1991; rev. ed. 1997.